Lemax Tannenbaum Christmas Shoppe depicts a delightful period village store selling fine Christmas ornaments & decor. Draped in snow during the Winter period, this seasonally named and decorated shop is always ready for Christmas. Internally illuminated village miniature table piece suitable for placement within a themed Lemax village Christmas display. 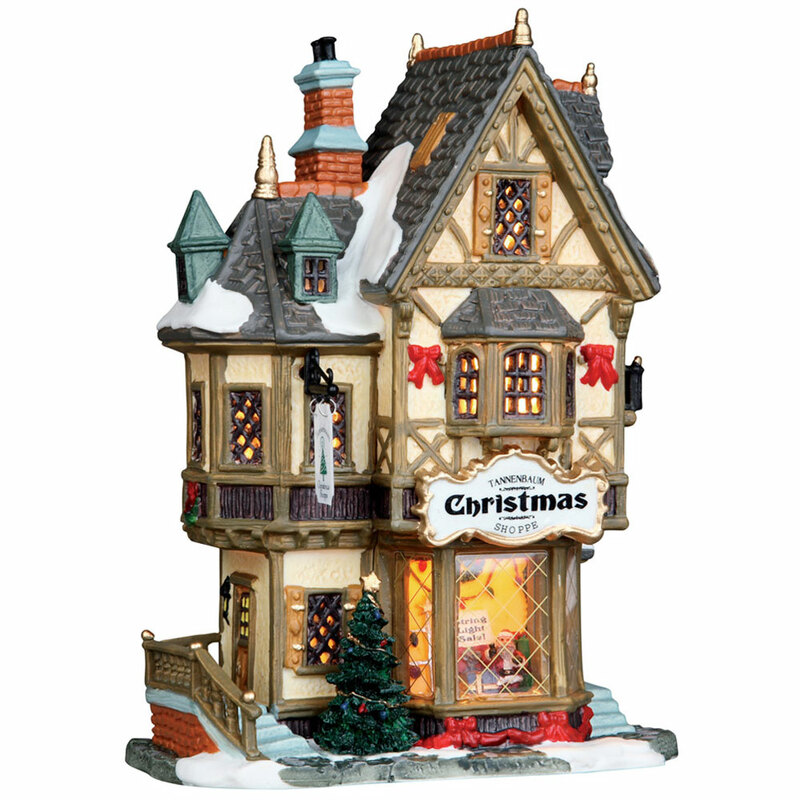 Tannenbaum Christmas Shoppe is a Lemax favourite and welcomed to the Lemax Caddington Village miniatures collection in 2003. Tannenbaum Christmas Shoppe is a single porcelain hand painted miniature building on a single snowed base, that includes a welcoming internally lit shop window scene.